While most everyone enjoys a cold one after a long day on the trail or playing outside, it’s not always as easy as rocking up to your favorite local dive bar. While cold beer is always refreshing, on longer trips it’s a little less feasible. With the plethora of artisanal spirits now available, why not go all Mad Men and start whipping up fancy cocktails each night in camp? 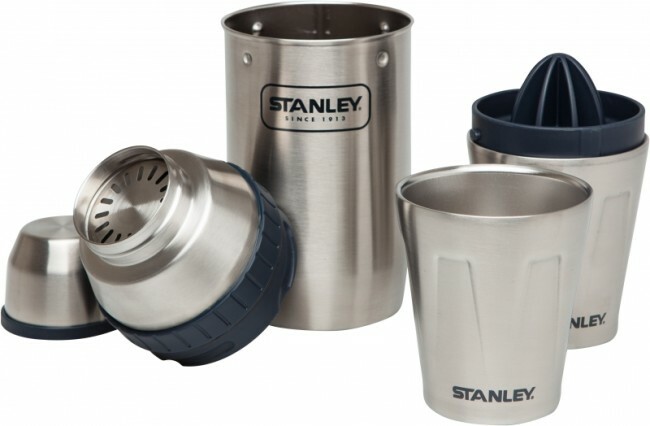 For Spring ’16, Stanley makes it easier with a complete yet compact cocktail system.